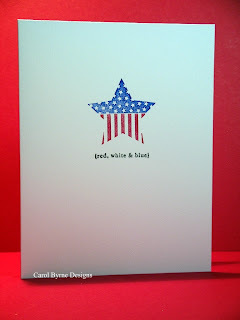 It's been a busy week...took a long weekend away to celebrate my birthday and the fourth, but still found some time to make FOUR cards for this past week's Simplicity challenge for one layer patriotic cards. 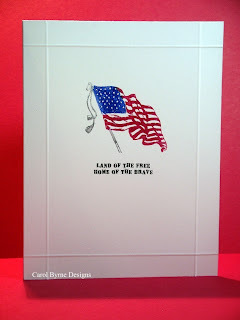 The first, and my favorite, uses an image from The Cat's Pajamas and sentiment from Savvy Stamps. 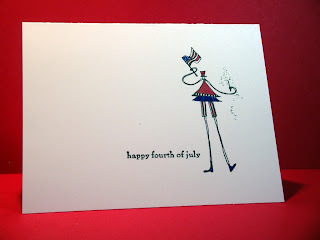 The second card (which really tied for first place in my mind) uses an American Art Stamps/Karen Stolper stick chick and that ever versatile Savvy sentiment. The third card showcases my newest purchase (half off at Hobby Lobby last week! )...the image is by Stampabilities and the sentiment is from Hampton Art. 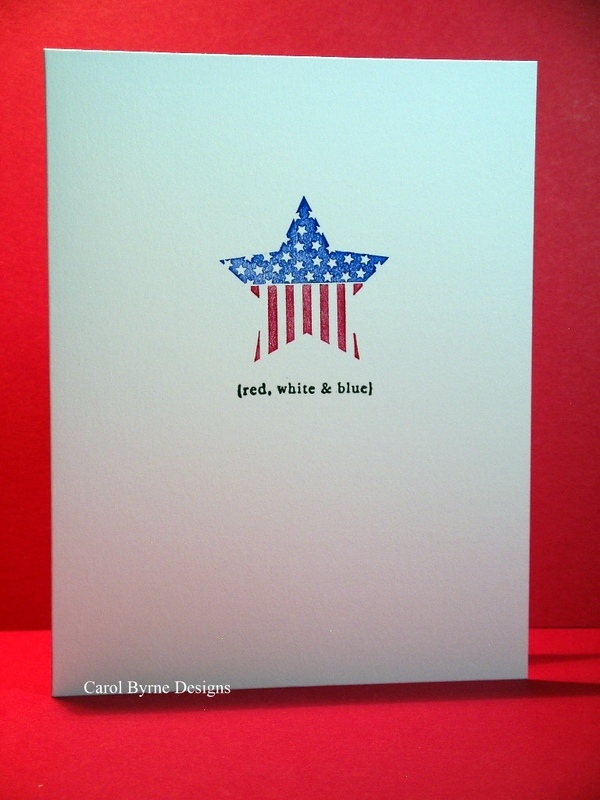 And the card really is white, not the baby blue it appears. 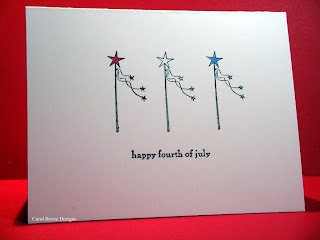 Lastly, this card uses both image and sentiment from Technique Tuesday. Oh my I would love to have had even one of those stamps. GREAT cards! In my mind, they all tie for first place.....hmmmm love that stick chik alot however. I have her perched on the rim of a martini glass, so cute, but I don't know a drinker to send it to and can't imagine why I bought it except she's just so perky and cute. Oh my goodness! Four cards to make me SWOON with delight and patriotism! Dang, I can't even pick a favorite 'cause they are all absolutely PERFECT! They are all wonderful! My favorite is the American Arts one, but they are all gorgeous!